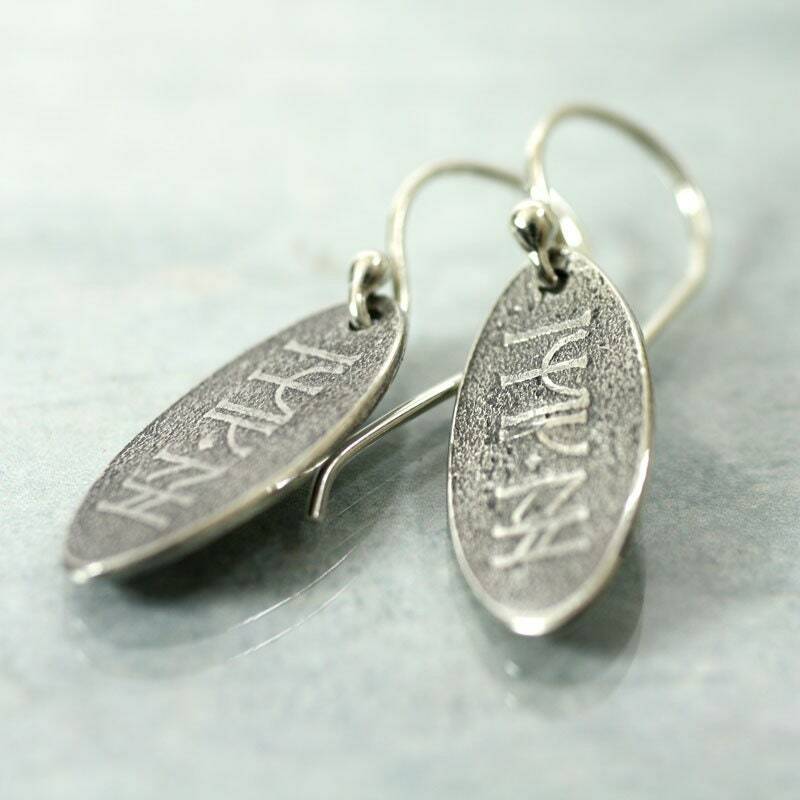 Fine silver leaves embossed with the runes from a good luck charm featured in one of my favourite fantasy films. In the second film we hear that he carries the charm given to him by his mother to remind him of his promise. 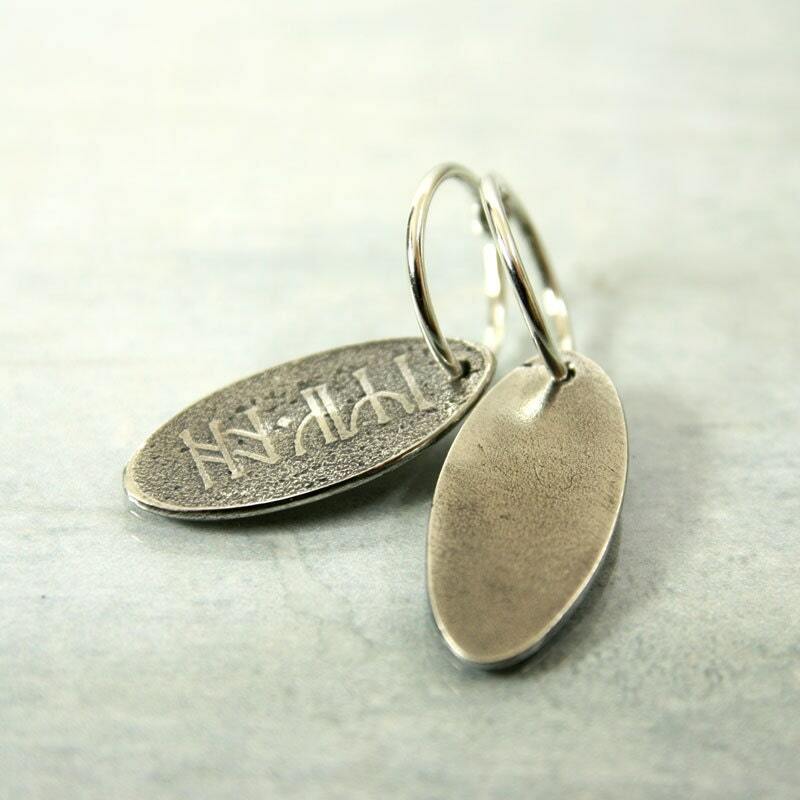 After a bit of research I found that the stone says - 'Inikh De' in dwarven runes meaning: "Return to me". What a lovely keep sake for someone who might be going on a journey? 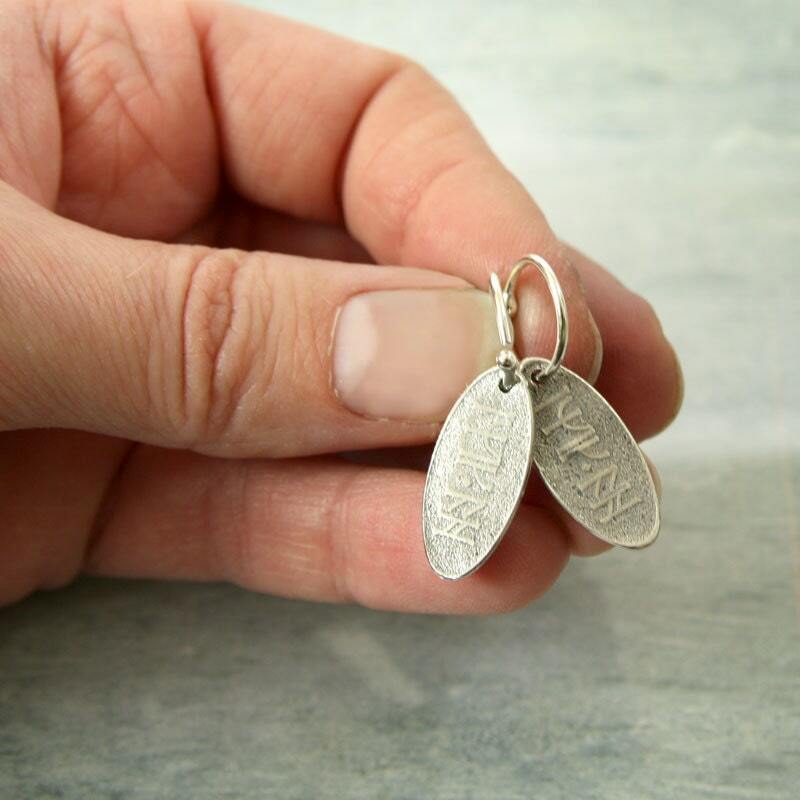 The leaves are long ovals of fine silver and are about 30 mm long. 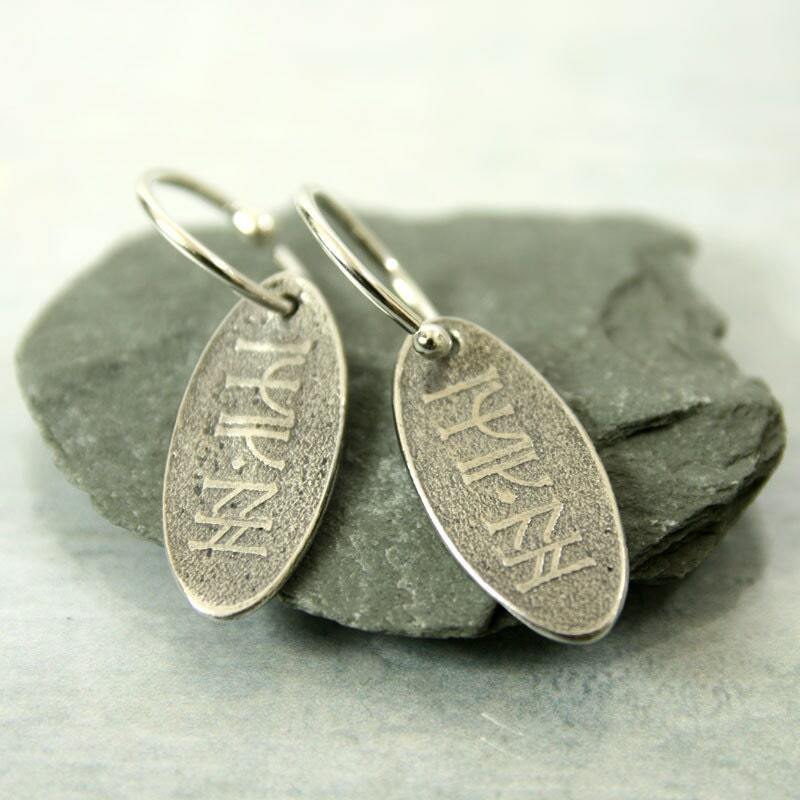 They have been oxidised and polished to make the runes stand out. 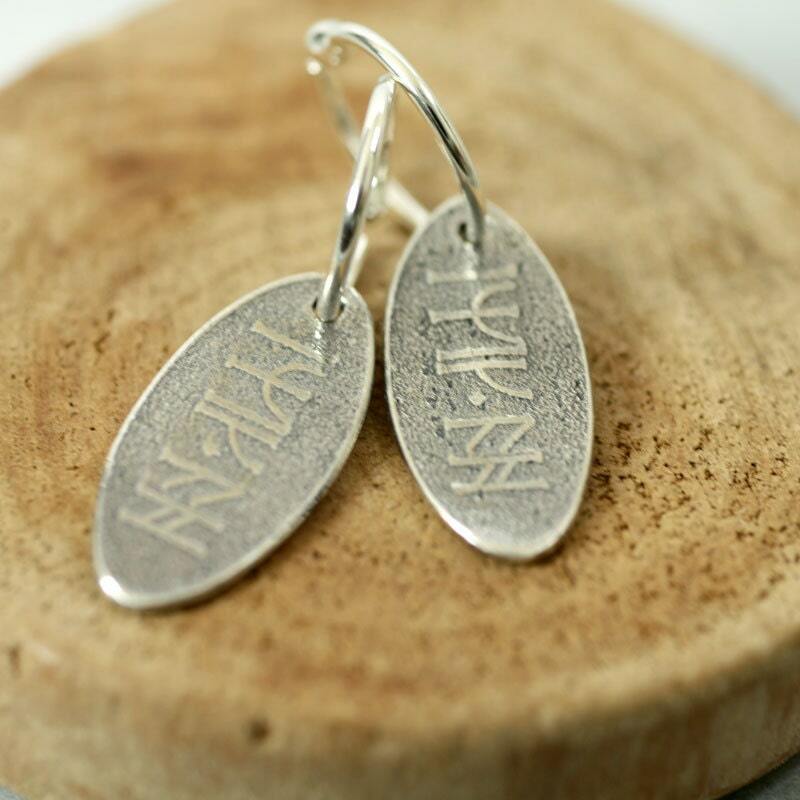 Lovely monochrome and stylish jewellery. 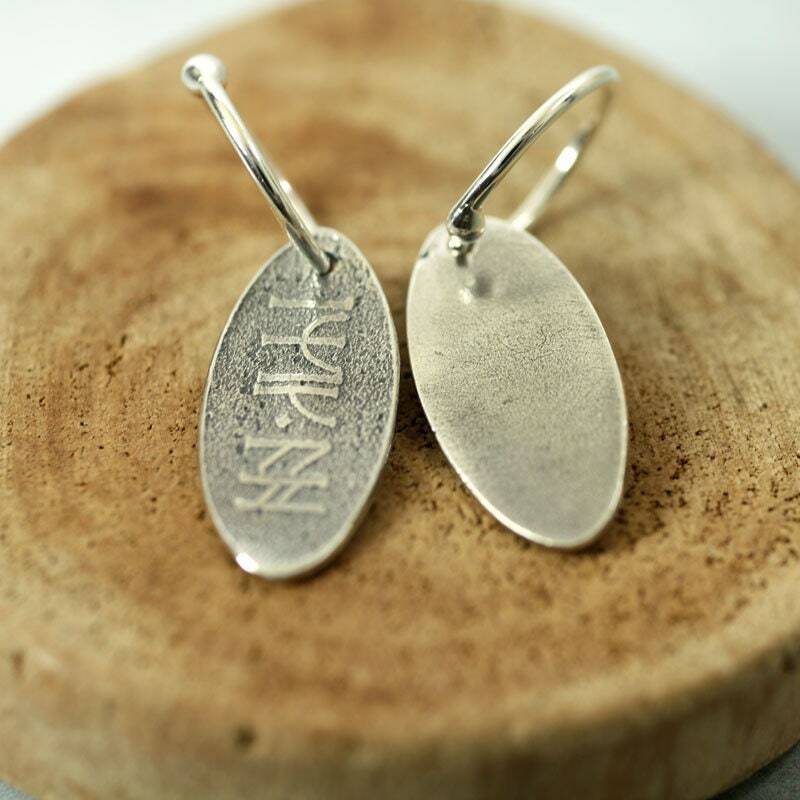 The handmade sleeper hoops are made from sterling silver. 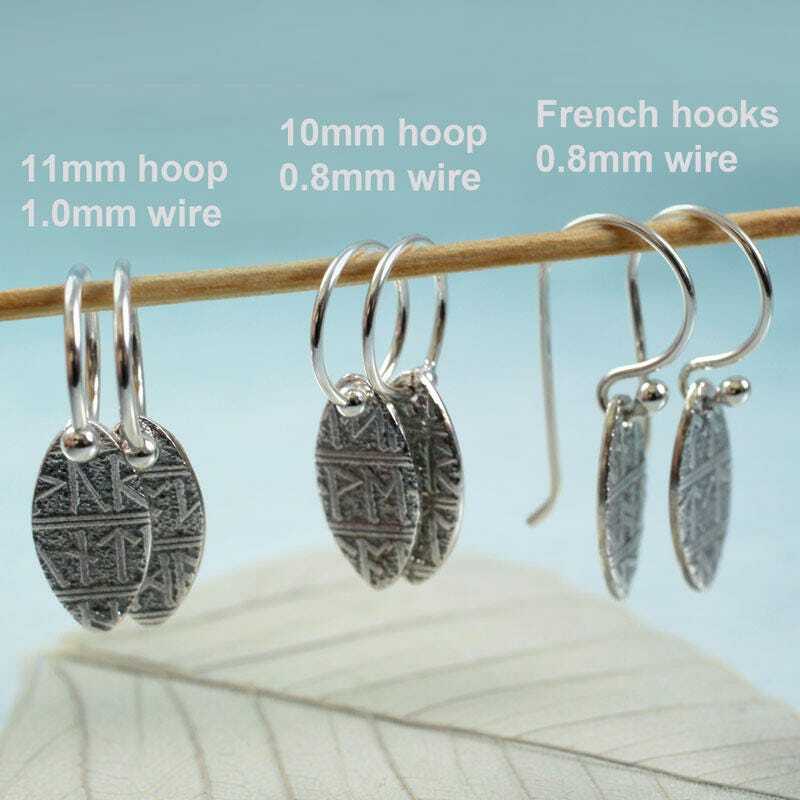 They twist to go on and are very secure, but if you prefer you can have standard (handmade of course) French hooks instead - all pictured in the last photo. Make your choice in the drop down menu. Love love love these earrings! Came exactly as pictured and very quick delivery. These are beautiful. I will definitely be buying from your shop again!!! I love the product- very good quality! Just a note that it could potentially take a while to arrive. Mine took over a month.